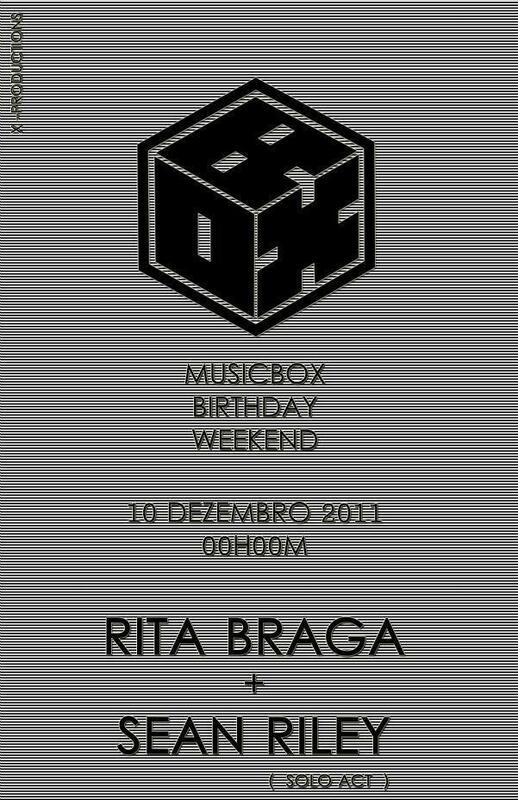 MUSICBOX in Lisbon is celebrating their 5th anniversary with a series of live concerts and dj sets. Rita Braga was invited for the closing evening on December 10, also featuring SEAN RILEY. This entry was posted on December 3, 2011 by Rita Braga. It was filed under Lisbon, tour dates .